This unit is a power conditioning unit (PCU: Power Conditioning Unit) equipped with a DC / DC converter. 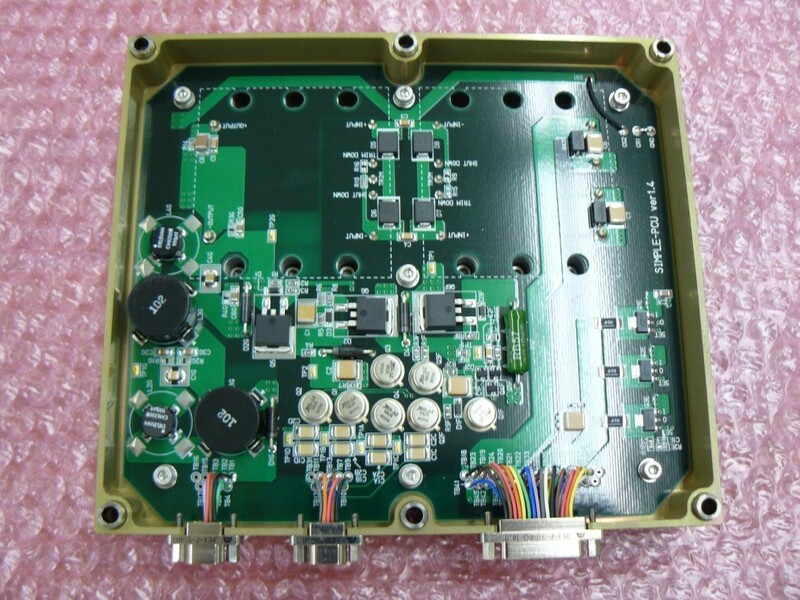 The primary side of the DC / DC converter is equipped with a power supply switch, EMI filter and overcurrent limiting function and is electrically isolated from the secondary side. Four systems of + 30V, ± 15V, + 12V, and + 5V are generated as secondary side generated voltages. The primary power supply switch can be controlled by an external pulse signal. Also, due to the overcurrent limiting function on the primary side, the current limit is activated after the overcurrent is detected and the power supply is automatically shut down if the state continues for a certain period of time (current limit value and cutoff time can be customized ). By changing the DC / DC converter to be mounted, it is possible to respond to various power demands.